Peacefully and unexpectedly at the Saint John Regional Hospital, Saint John NB on Monday November 12, 2018, Mr. Eldon Larry Hanley, loving and devoted husband of 56 years to Marilyn (Chambers) Hanley of Pennfield NB. 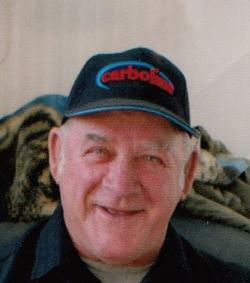 Born at St. Stephen NB on January 28, 1945 he was a son of the late Hollis Percy Cooke and Treva Belle (Harris) Hanley. A loving husband, generous father, grandfather, brother, uncle and friend, in addition to his beloved wife Marilyn, he is survived by; one son: Kevin (Kelly) Hanley of Pennfield NB, daughters; Wendy (Paul) Hawkins of Pennfield NB, Edra Hanley (Will Slipp) of Central Hampstead NB and Melissa Hanley (Doug Gomke) of Willow Grove NB, grandchildren: Kalie (Andrew Greer), Karisa Allen (Freddy McVicar), Josh Hanley (Vicky Jones), Keith (Danielle) Hanley, Kelsie Allen (Jessey Hampton), Blayne Monks (Madison Daigle), Blake Allen, Malloreigh Monks, Jazmine Hanley (Tyler McGarrigle), Kaleb Hanley, Tori Hawkins (Chad Blackier), great grandchildren; Jami, Ryanne, Farrah, Adrianna, Leah, Sawyer, Mikaela, Kinnon, Jax, Harleigh, Millie, Rowan and Baby McGarrigle due soon, admiring brothers; Maynard Hanley and Ross (Betty) Hanley both of Back Bay NB, Randall (Christine) Hanley of Oak Bay NB and Ora James (Edith) Hanley of St. George NB, loving sisters; Marla McGee of Chamcook NB, Debbie Hanley (George McLaughlin) of Honeydale NB, Twila (David) McLaughlin of Lawrence Station NB, Patricia Hanley of AB, Rhoda (Michael) Kernighan of Back Bay NB, Vickie (Kevin) Mersereau of St. George NB and Crystal Parks (Gary McIntyre) of Lawrence Station NB, one aunt; Phyllis Cooke of Back Bay NB, brother in law: Burton Chambers and late Helene of Pennfield NB; and sister in law: Edra (Mike) Tucker of Lower Sackville NS as well as several nieces, nephews and cousins. In addition to his parents, he was predeceased by a son Peter Hanley (2014), sisters; Edna Hooper and Lorraine Hanley and brothers; Clarke and Farren. Dad grew up in a large family surrounded by lots of children and commotion just as he loved it. Spoiling us five kids and cherishing his11grandchildren along with his12great grandchildren was his number one priority. He would never let you leave without a dollar or two pressed into your hand and a belly full of warm food. Generous to a fault, he was a simple man who loved his Boston Bruins and watching hockey and in his younger years he played baseball and was a star fast pitcher. Eldon also enjoyed curling and playing cards anywhere, anytime and with anyone who thought they could beat him. He will be sadly missed. Although there will be no visiting or formal service, a celebration of his life will be celebrated at the Royal Canadian Legion Branch # 40 in St. George NB from 2-7 pm. In Eldon's memory, donations to the Charlotte County Cancer Society, Diabetes Association of New Brunswick or a charity of the donor's choice would be appreciated by the family.